Well, folks, we have it: After months of waiting, speculation, rumours, and demands, we've finally gotten our first look at Avengers 4, now known as Avengers: Endgame. As ever with these cryptic teasers, it's a look that shows off a bunch of things... and yet, not a lot at the same time. Let's go through and break it down. We've had months to recover from Avengers: Infinity War's cataclysmic outcome, as Thanos, gauntlet in hand, snapped the snap heard 'round the world. Now, after what feels like eons of waiting, we have our first look at what the original icons of the Marvel Cinematic Universe plan on doing to avenge their fallen comrades. The trailer opens with a distraught Tony Stark (Robert Downey Jr.) — gazing upon his battered Iron Man helmet as he sits on the deck of the Benatar, the ship of the Guardians of the Galaxy. Well, OK, former ship of the Guardians of the Galaxy, who are now basically down to Rocket (Bradley Cooper), who's stuck on Earth, and Nebula (Karen Gillan), who... is actually seemingly on the Benatar with Tony at some point, we'll get to that. Tony is fiddling with the helmet for a grim purpose: he's recording a final log, because his situation is pretty dire. He's had no food or water for four days, and his oxygen is about to run out. The Benatar is drifting in space, and he's seemingly all on his own. "When I drift off, I will dream about you. It's always you," he concludes, with the "you" presumably being Pepper Potts (Gwyneth Paltrow). Like I said, grim! Marvel's probably not gonna let the Russo Brothers kill Tony Stark off early on in this movie by having him asphyxiate alone out in the depths of space, so we can bet on him being rescued. The question is, by who? The obvious choice would be Marvel's new cosmic defender, the mighty Captain Marvel (Brie Larson) — who'd make sense to appear in the depths of space out of nowhere looking to help someone in need, and we know she's on her way back to Earth thanks to Nick Fury's (Samuel L. Jackson) beeper alert. But don't forget that there's actually still some Asgardians out there in space — we know Valkyrie (Tessa Thompson) and a few survivors from Thanos' (Josh Brolin) attack on the refugee ship at the opening of Infinity War escaped (although there's probably a few less of them now, thanks to the Snap). Suffice to say, hopeless at it seems, Tony's got options. 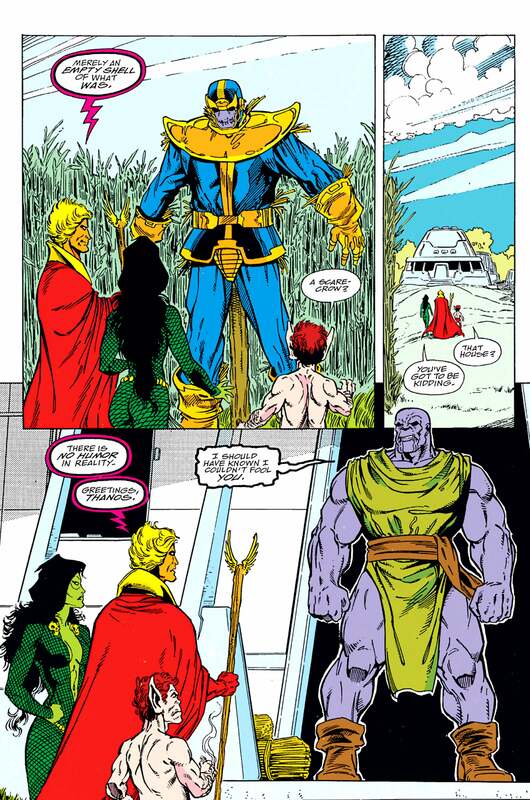 At the climax of the series, after the power of the gauntlet had been ripped out of Thanos' hands (Adam Warlock eventually becomes the wielder, to safeguard the cosmos), the Mad Titan had retired to an unknown world, humbled by his loss of power, to tend the soil and seemingly live out his days as a farmer. Just like that didn't really stick in the comics, odds are that the MCU Thanos — who is still wearing the battered, burned-out Infinity Gauntlet — won't be spending Endgame getting his Stardew Valley on. Meanwhile, back on Earth, the surviving Avengers have relocated from Wakanda to Avengers HQ. Oh no, sad Steve Rogers (Chris Evans)! "Thanos did exactly what he said he was gonna do," Black Widow (Scarlett Johansson) adds over the shot of a weepy Cap. "He wiped out... 50 per cent of all living creatures." As she says that, we see Bruce Banner (Mark Ruffalo) looking over a holographic list of the Avengers' absent allies. We only see Scott Lang (Paul Rudd), Shuri (Letitia Wright), and Peter Parker (Tom Holland), and they're all labelled as "missing" rather than "dead." We know Peter is dead, because we watched him crumble to bits in Tony' arms in Infinity War. And we also know that, thanks to the end of Ant-Man and the Wasp, Scott avoided the snap by being in the quantum realm at the time. So don't get too anxious about Shuri being on that list — she might be gone, she might be off the grid. 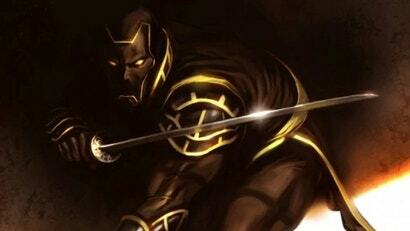 After all, with T'Challa dead, Wakanda needs a protector. Thor (Chris Hemsworth) mopes alone elsewhere in Avengers HQ — he's presumably taking it a lot harder than everyone else, because it was his not-so-fatal-blow that left Thanos the chance to enact his will in Infinity War's climax. Nice to see that he's found some suitably schlubby clothes to change into for his moping, at least. And hey, he still got a replacement eye out of it all, so don't be that sad, God of Thunder! As Steve solemnly notes "We lost, all of us, we lost friends, we lost family," we get one of the most intriguing shots of the trailer: Nebula, walking in on what certainly looks like the unconscious body of Tony on the Benatar. Earlier on, Tony seemed to imply that he was alone — so does Nebula leave, thinking he's dead, only for him to wake up and record his message? Or does this happen after all that? "We lost a part of ourselves," Steve continues, as we get to the trailer's arguably biggest reveal: Natasha, off in Asia as she reunites with a very, very different-looking Hawkeye (Jeremy Renner). The sword and costume Renner has donned were actually leaked a while ago in set pictures, but it's also another big callback to the comics, because this isn't really Clint Barton, Hawkeye. It's Clint Barton, Ronin. 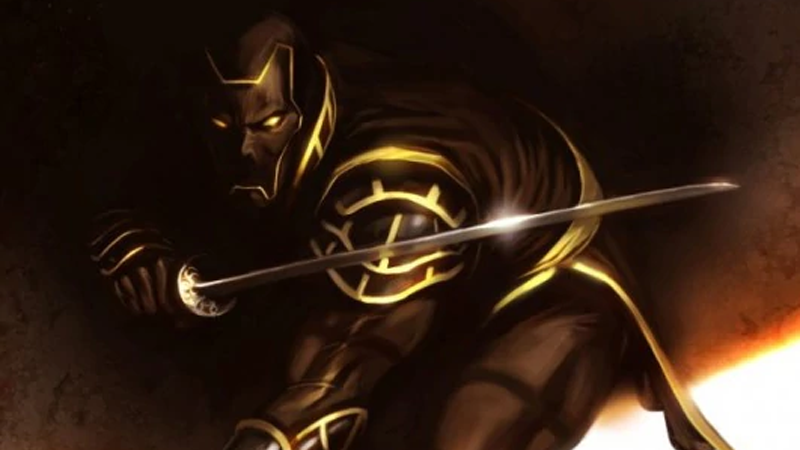 In the aftermath of the infamous comic event Civil War (and his resurrection after House of M, which retconned Clint dying in a truly ridiculous way), Clint put aside the Hawkeye name and adopted the mantle of Ronin, becoming the second person to use the title after Maya Lopez. Clint operated in secret at first, with few people knowing he was still alive, but would eventually openly operate as Ronin and before returning to the Hawkeye mantle in 2010 — by then, Kate Bishop had started using the name in his memory, and has continued to do so alongside him ever since. So what's he doing adopting it now, and swanning around in places that are distinctly not his farmhouse? It stands to reason that not all of Clint's family made it out of the snap intact — in fact, he could've lost his wife and his kids. That sort of grief would probably be enough for him to start travelling and beating up thugs, giving up his old SHIELD agent identity in the process. But it also hints that there's at least been a decent passage of time between what we're seeing here and the end of Infinity War — maybe it's later on in the movie than everything else in the trailer, which clearly takes place close to the aftermath of Thanos' success. Cutting back to Steve and Natasha, this time we see them suited up — and, interesting to note, Steve isn't in his torn up Age of Ultron costume any more: He's gone back to his SHIELD-issued stealth suit from Captain America: The Winter Soldier. I guess he had been wearing that Ultron suit for a while at this point! When this takes place his hard to say, but Cap and Widow are clearly preparing for something big, as Steve takes a glance at one of his oldest and most treasured possessions: a compass, holding a picture of Peggy Carter (Hayley Atwell). Sniffle. Widow tries to assure Cap that it's all going to work out for them, but even Captain America, beacon of hope, isn't too sure: "I know it is. Because I don't know what I'm gonna do if it doesn't." Really, that's how you know it's dire. And here it is, your big title reveal: Avengers: Endgame. It is, of course, a nod to Doctor Strange (Benedict Cumberbatch)'s final line in Infinity War to Tony Stark before he too falls to Thanos' snap: "We're in the endgame now." But, it's not really the first time the phrase has actually been uttered in an Avengers film: Tony warns Steve back in Age of Ultron that they're approaching an endgame, asking how the Avengers could ever face such a cataclysmic threat. Steve's response back then, of course, was "together." It's also just a logical word to use when coming to the end of such a massive storyline. The final moments of the trailer throw up even more questions — while Steve and Natasha are talking at what appears to be Avengers HQ, they're interrupted by Scott Lang knocking on the door, to their absolute shock. There's a lot here to note: first, Scott's brought his van, which, as we know from the end of Ant-Man and the Wasp, contains the miniaturised quantum tunnel he was testing that let him survive Thanos' snap — and it seems like that technology could at least offer some clues for what the Avengers will do next. Beyond all that, it's the dialogue that offers some scintillating hints here. Scott refers to the events of Civil War — "The airport! In Germany!" — as being a few years ago (Civil War took place in 2016, and Infinity War takes place in 2018). But on top of that, a shocked looking Steve asks Natasha if it's an "old message," so there's an implication that there's at least been a decent passage of time since even Infinity War. After all, that shot of Bruce looking at the missing persons list prominently featured Scott. Are Steve and Natasha just surprised that Scott is alive, or are they surprised that it's been so long since he's been reported missing? There's long been rumours of time travel playing a major role in Avengers: Endgame, but this is unlikely anything to do with that. This trailer is a bigger look at Avengers: Endgame than anyone could've expected out of a first tease of this climactic chapter in the Marvel Cinematic Universe. But while there is a density of footage, it's all pretty light on details — we don't really know much more now than we did while clamouring for this trailer, and it's seemingly from very early on in the movie, where our heroes are still reeling from the devastation of Thanos' actions. Plus, Marvel has a track record of making footage just for these teasers (remember Infinity War's epic charge-that-never-was? ), so even if we did think we learned something, we won't really know until we're taking our seats to watch the movie. But at least we now have the Avengers' mission statement: Thanos may have won the battle, but he won't win the war, not while Earth's Mightiest are still standing. We'll see how that all plays out for them when Avengers: Endgame hits theatres April 26, 2019.